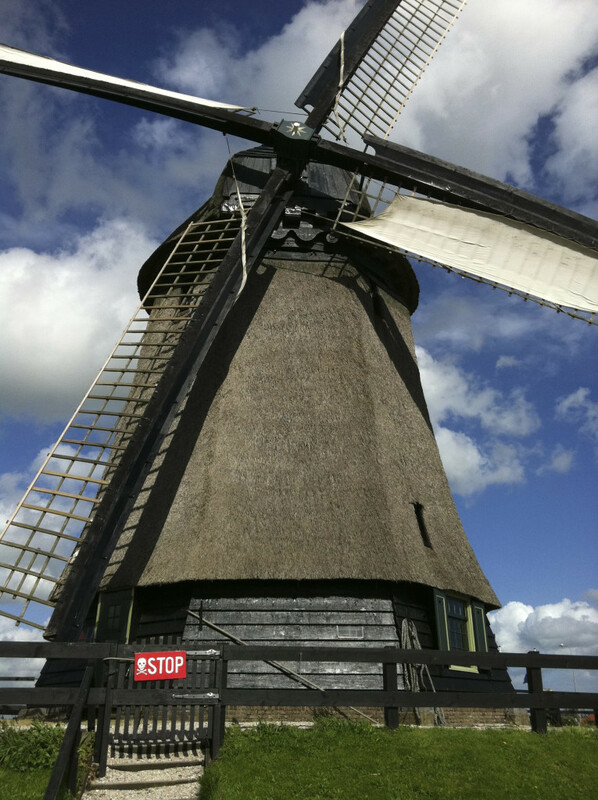 Together with cheese, wooden shoes and tulips, the windmill is one of the things Holland is most famous for. Tourists flock from all over the world to catch a glimpse of the windmills in Holland. But the windmill is not just a pleasure to the eye in our typical, flat landscape. 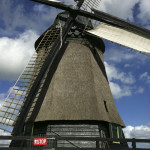 The windmills in Holland played a crucial role in the development of our country. 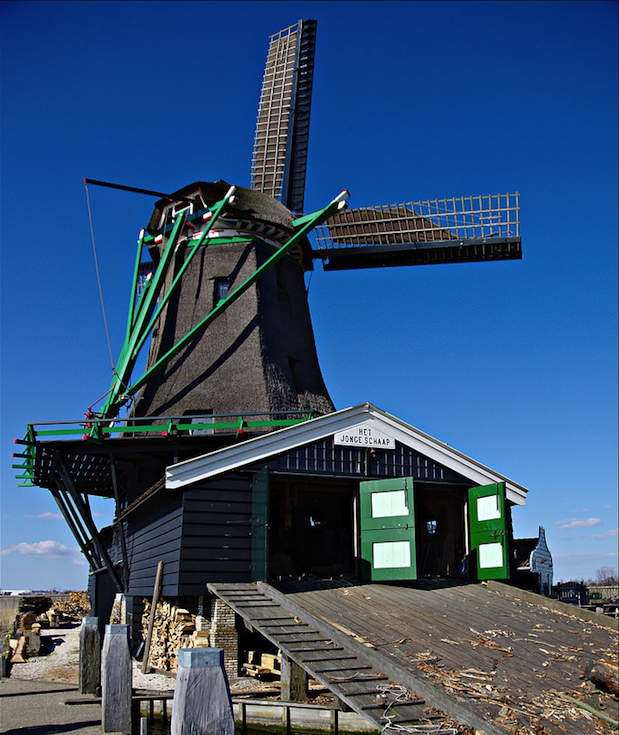 Windmills were used in various ways throughout the history of Holland. They were used to create land, build ships and produce flower, oil and even mustard! Until the year 1400 AD, living conditions in Holland were far from ideal. The country consisted of wetlands, swamps and marshes separated from the sea by a belt of dunes. Villages were often destroyed by ravaging floods. 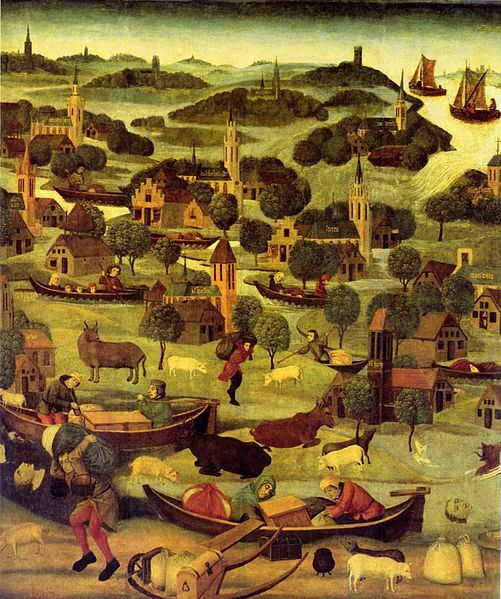 In 1421, in a particular bad flood, over 70 villages were washed away and thousands of people drowned, as pictured in the painting below. Enter the windmill. After sea defenses were put up and dams were build to disconnect the water from the sea, windmills were used to drain the many lakes, swamps and wetlands. This drastically increased living conditions. Over the years, numerous windmills were built as they became larger and their water-lifting capacity increased. In the 16th century, due to adjustments to the structure of the windmill, it became possible to use them for several other purposes, such as for the production of oil, paper and to saw timber. Saw mills played an important role in the shipbuilding industry, enabling the construction of massive fleets. With these ships, Holland was able to reach a very dominant position in world trade during the 17th century, the Dutch Golden Age. The amount of windmills in Holland reached a peak in the 19th century, with an estimated 9000 working windmills, performing all sorts of industrial functions. Towards the end of the century a lot of mills were fitted with newly invented diesel engines and electric engines. Where can you see the Dutch windmills in action? The best place to see original working windmills in action is in a little village named the Zaanse Schans, just outside of Amsterdam. A total of twelve windmills are being kept in working order by volunteers. Five of them are open to the public. The village also features a number of museums, one of which, off course, is a windmill museum. Although the Zaanse Schans is a very touristic place, I still think it’s the best day trip around Amsterdam. It’s quite fascinating to see these historic machines at work and the surrounding landscape is worth a visit by itself. To get there is really easy. Bus 91 will drop you off right outside the village. It departs from Amsterdam Central Station every half hour between 9am and 4pm and takes 45 minutes. You can buy a return ticket for just 5 euros. Accommodation tip: Looking for a unique experience? Stay right next to the windmills at Heerlijck Slaapen op de Zaanse Schans in the picturesque and charming village of Zaandam (Picture | Book here ). For more information visit the official website of the Zaanse Schans. 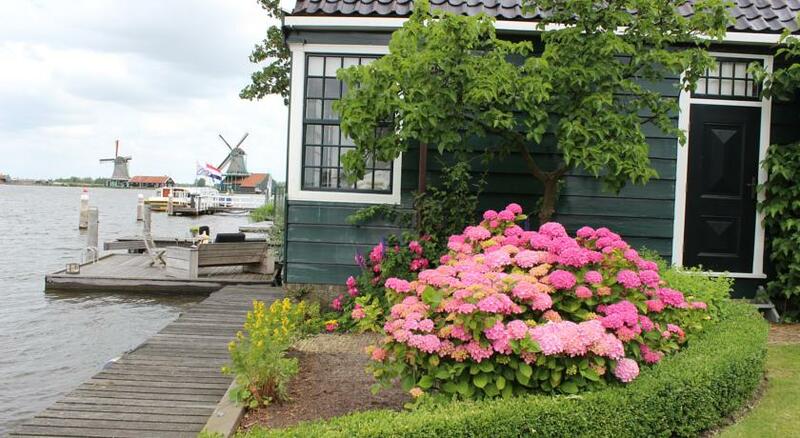 Have you been to the Zaanse Schans? Tell me how you liked it! Will you be at TBEX? I thought I saw you on the attendee list… I’m hitting Dublin hard. Followed by the rest of the UK before head back to the states. Hey Christa yes I will, I’ll see you there! I like your story! Thanks. We left London and are now a few days in Amsterdam with 2 kids (age 5 en 8) and went to de Zaanse Schans last wednesday. It’s a open-air museum in a town next to Amsterdam. Free of charge. It’s not too big, but ok for a few hours with the kids. I specially liked the old houses with al kind of dutch ‘old stuff’ inside. See http://www.dutchmills.eu for more information, they gave us the important advice to watch out with the cycling-path with small kids.